Meeting so many Skatefresh friends and students from 9 different nationalities IN Rio de Janeiro this morning for the start of the first ever Rio trip was extremely special. Add to that a handful of wonderful new Skatefreshers and the day was set to be fantastic. 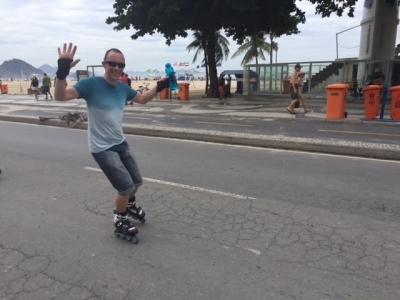 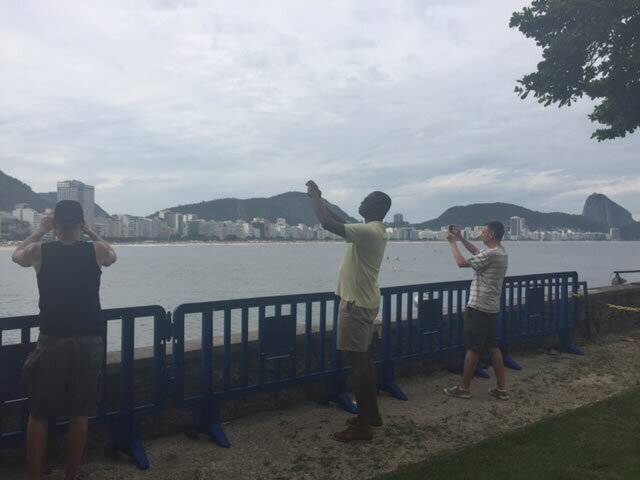 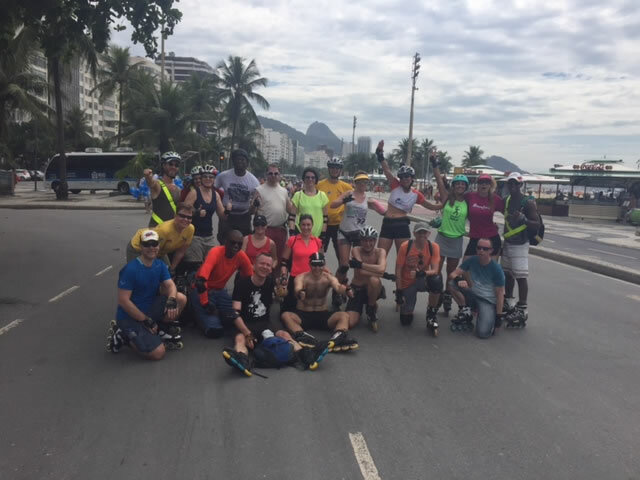 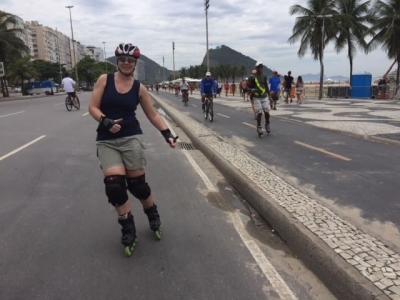 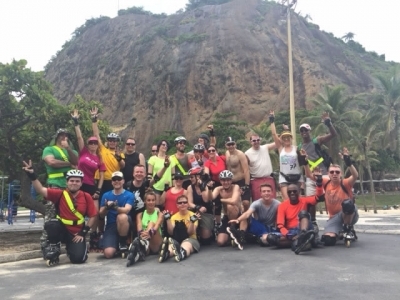 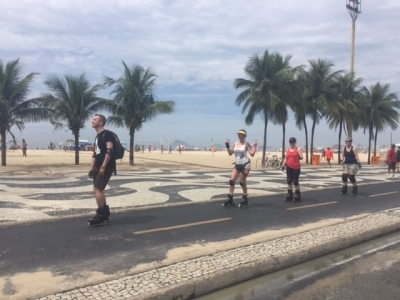 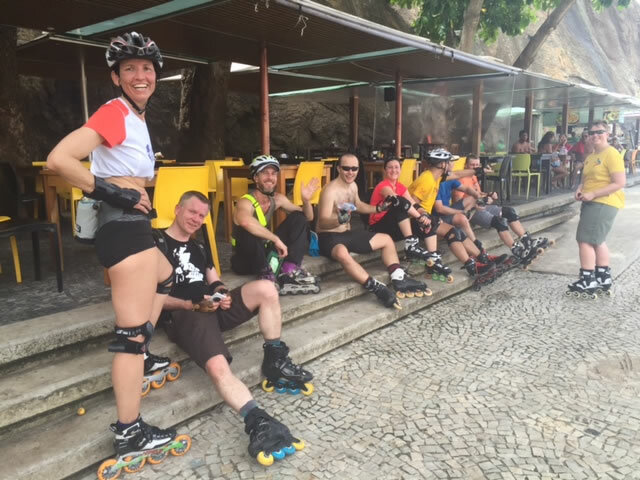 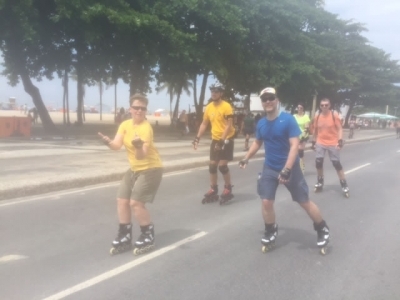 We skated the length of Ipanema from Arpoador point to Leblon, and back, then to Copacabana and it’s entirety until Leme, where we drank coconut water, chatted and caught up and enjoyed the beautiful view. It’s a pleasure to watch my students enjoying my favourite city. Some super storms and heavy rain in the evenings have created some drama, but at least its warm rain, right? 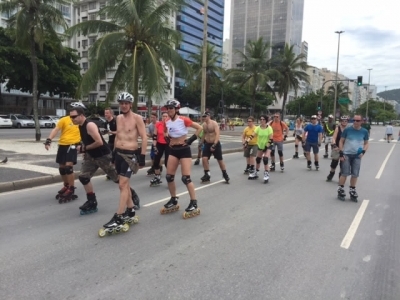 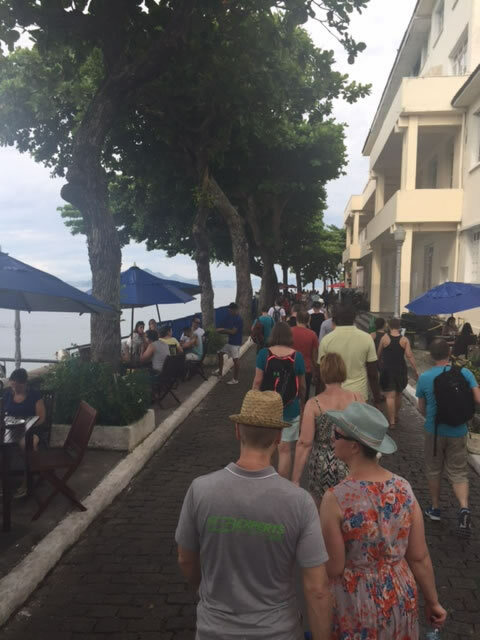 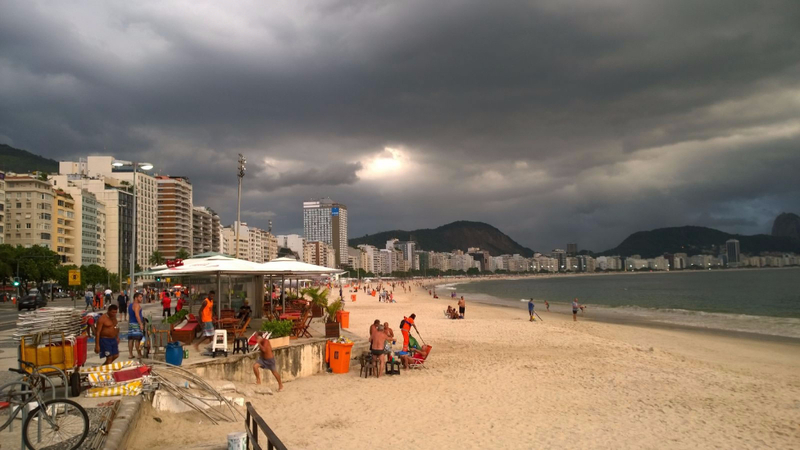 Catch up with events here in Rio each day on the blog. 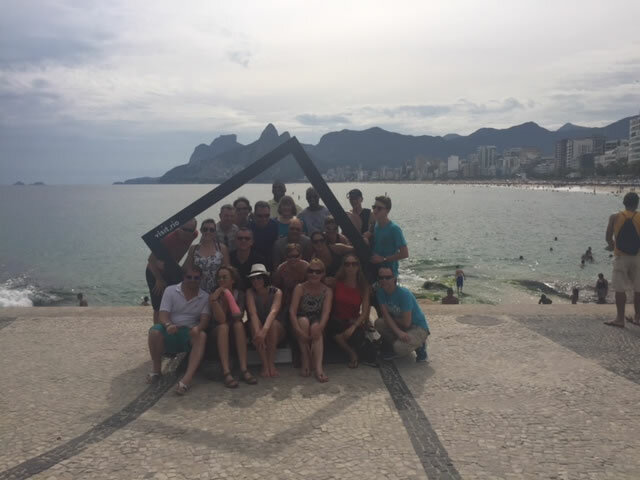 Next year’s trip will be Sunday 29th Jan – Sunday 5th Feb 2017. 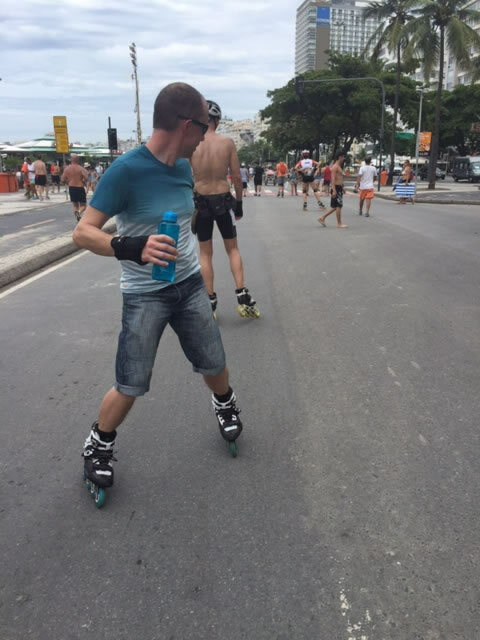 Ability level must be confirmed with Skatefresh before any flights or accommodation is booked.